Drone On, Parody Song Lyrics of Wilson Phillips, "Hold On"
Song Parodies -> "Drone On"
DKTOS? Hear the song here. Don't know the artist? Check out the Wikipedia entry. Though this isn't a bad song, it was played to death, so it gets lampooned. Wilson Phillips should be happy that someone here remembers them (AFAIK, this is the first parody of any of their songs). Who cared about lyrics when Chynna P was cute! burning out, but just won't die! (Plug your ears) if you're sane! Can I drone..... on for one more play? Drone on for one more day! Mmmm... they're part of the way we rose to fame! Just how much can you take of this song's sappiness? (No tellin'!) Anymore I'd wish I were tone deaf! go on out and maim a mime! they finally make a rhyme! (Here he goes) raise the gain! As I drone...... on - and on today! You can't "break free", I feel you strain! oh about ten thousand times! Don't you know? - things will change! But I DRONE..... on - and on today! Yuck, Thanks for introducing me to this...... tune...... if you want to call it that.... Anyway, you're parody of making fun of it, and the blah-blah-blah's were inspired!!! 5's.... Oh gawd! The song repeats it's self on that website.... NOOOOOOOOOOOOOO!!!!! I actually liked this song, but I definitely know the feeling: http://www.amiright.com/parody/80s/thebangles13.shtml. I even used the word "droning." Five sets of earplugs. Needless to say - but I will anyway - I totally agree with your judgment on this so called song. 555, funny(I don't hate this song, but it has been played too much). This is the first time this band's been parodied? Just like I'm the first to parody "The Smithereens" and "The Jayhawks". 555 If you listened to this song 10,000 times, you need to change radio stations. I couldn't even listen to half of the song on you link...NMTOM. Good putdown of it! btw, while you were MIA last week I did "Footnotes" as suggested - thanks for the idea. Thanks Matthias, Pat, Mike, Peter, Alvin, AFW, Step-chan, Rick C, Dee, TT and Larry. Pat: Those tricks make a song like this very hard to do well live. Michael: Checked out yours already. I liked it too, the first 10,000 times I heard it. Step-chan: Yes, it is, which is odd considering this CD went diamond (10 million sales) and spawned 4 top 10 hits. Rick: I was so glad when this was finally done since I listened to TOS probably 20 more times while making the parody. Dee: NMTOM? You'll have to fill me in there. I never listened to this willingly on the radio, but saw the video plenty - 2 of these girls, aside from having the pipes, also had hot bods. I never thought to use mute. Larry: Thanks - my favorites had to be the echos line and, oddly enough, "(meow!)". HAHAHAHAHAHAHAHA.....!!! I liked the original song in it's time (way back in my girlie days) - but I liked this parody waaaaaayyyy better! 555! I must agree - the parody is way way better than the OS. A fine put down if there ever were a put down. Excellent! (ABC) Didja catch Carny Wilson appearing with her brats on ABC's "Supernanny"? Oh, the humanity ...of this OS, specifically. I'm actually a little proud to say I did not recognize that song at all. Your putdown is well-done and well-deserved. Now please don't ever make me listen to the original again; I thank you in advance for your cooperation. You're correct in saying that the only good thing about this song was that the lead singer was a cutie. The rest of it was fem-pop crapola... Good rip on a very deserving song. (ABC4) Like I needed any more proof that yo are the king of parodies that make fun of the original song. But here's some proof, and great proof at that. Laughed at the 'blah, blah, blah' chorus. 555! (ABC) I don't know...so far these entries aren't turning me on. Maybe too mean-spirited? Anyway, a couple of good laughs, especially in the last third. 5-4-4. 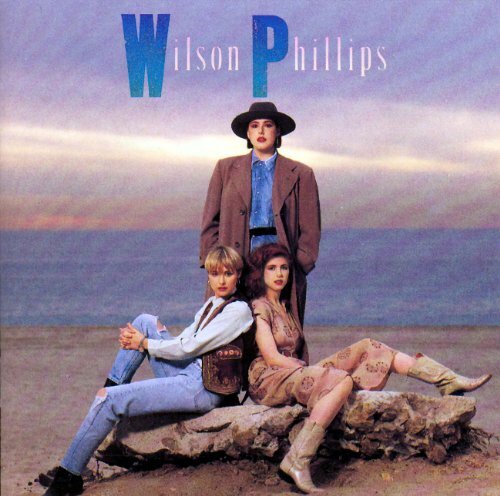 The address of this page is: http://www.amiright.com/parody/90s/wilsonphillips0.shtml For help, see the examples of how to link to this page.